For most of us, shopping for beauty products can be nothing short of overwhelming and not to mention a pain in the wallet with so many products flooding the marketplace teasing us with those pretty packaging and a slew of irresistible promises that whisper to our deepest subconscious. But the woes do not end there, fast forward to 28 days later after we’ve indulged in the purchase only to find out that the product failed to meet our expectations or worse an ever better product has hit the market yet once again. So this usually means stacks of pretty half empty bottles littering the corners of closet and cluttering cabinets. 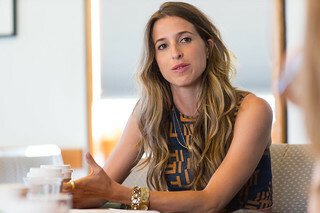 That’s where beauty startup Birchbox has come to save day. A sampling program that enables beauty junkies to indulge in their salacious habit and shoppers on a mission to try the product without committing to an initial purchase. Birchbox is a subscription based beauty service delivering specially selected beauty products in the form of a treasure box on a monthly basis. The boxes are filled with typically four to five sample size items from a variety of beauty categories and brands. Once subscribers try and like the products, they can return to the Birchbox online store and purchase the full size version item at regular retail price. 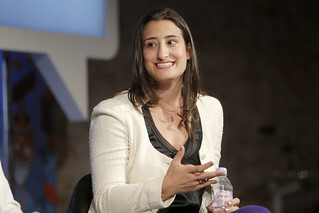 The company was founded by friends and Harvard classmates, Hayley Barna and Katia Beauchamp in September of 2010. According to Inc, at the time of their launch, the two friends had garnered 660 subscribers from word of mouth and had a waiting list of about 3,000. We adore Birchbox because it not only saves shoppers time and money but also presents the opportunity to try some of the hottest and trendiest beauty products on the market. We also adore the founders for their powerful yet feminine business savvy.